Back to the Malta meeting main page. This page contains information about the 90th IEEE Region 8 Committee Meeting held in Malta on 25-27 April 2008.
to get from the airport to your hotel, taking a taxi is the best option as there is no hotel shuttle service. We encourage you to purchase vouchers at the taxi booth in the terminal (the airport is very small). A ride from the airport to either hotel should cost around 16EUR. 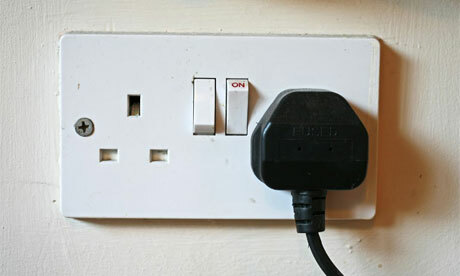 the mains supply in Malta uses the ‘British’ system of three rectangular pins for the plugs and sockets (220V, 50Hz), so both Continental Europeans and North Americans need to bring adaptors for their laptops. As of 1st January 2008, the Maltese Lira ceased to exist. Euro is the official currency. Malta has two official languages, Maltese and English. Although tap water is not dangerous, it is recommended to drink mineral water. Tipping rate is about 10%. during the meeting, you may expect outside temperature between 14°C/57°F and 19°C/66°F, mostly sunny and dry. if you plan to drive in Malta, remember to drive on the left lane. A map of Malta ( map_malta) indicating the location of the hotels. Navigate Malta through Google Maps. For more complete information, download the Malta travel guide ( Malta_travel_guide_V3) prepared by Tony Davies. Travel information can be found on the following sites www.visitmalta.com , www.maltairport.com , www.airmalta.com, www.gov.mt. Read the introduction to the Robert’s Rule of Order ( SC08_questions) and the Simplified Meetings and Parliamentary Procedures ( intro_robert_rules). Note that for people staying at another hotel, the limit for accommodation per night is 100 euros. The committee approves the location of Venice, Italy for the next IEEE Region 8 meeting, April 24-25 2009. According to Region 8 Bylaws (R8-303.9) the Director is requesting input for the next meeting until 27 February, which is on time for the next Region 8 OpCom Meeting. Click here: Region_8_Agenda_Template_200707 to download the template for proposing agenda items. Click here: template_section_report_malta to download the template for Section Report. Once filled in, send these reports to costas@ieee.org in Word (.doc) format (pdf is not allowed). Registration is open only for the people having been invited to the meeting. If you have been invited, you have received an e-mail containing a link to the registration form. Please use that link to register. Please respect the registration deadline stated in the important dates (above). send the filled in form to Keith Sacco at keithsacco@ieee.org .